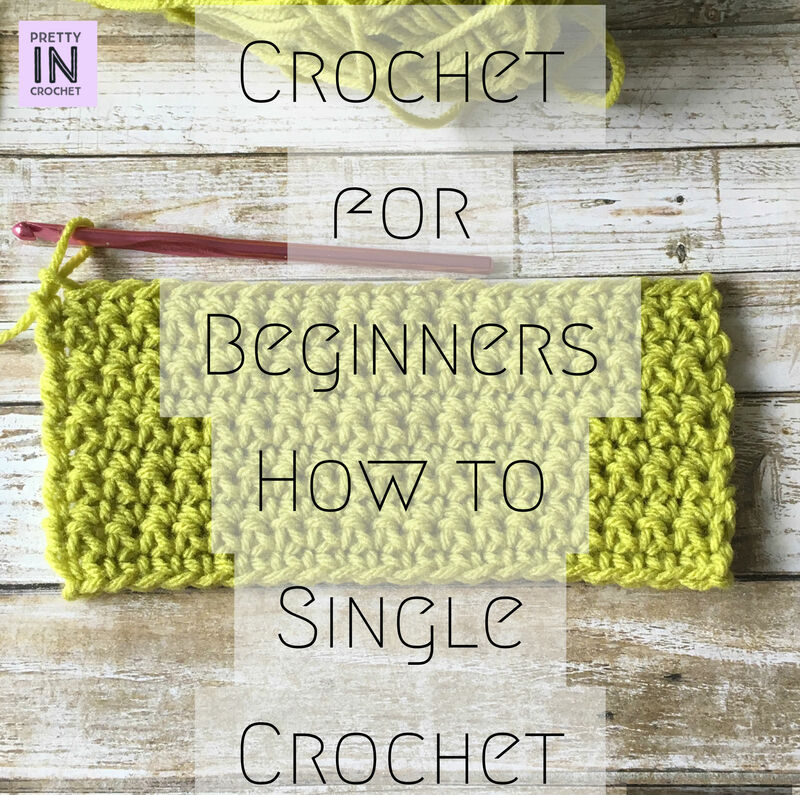 Today, I’m going to showing you how to crochet the single crochet. 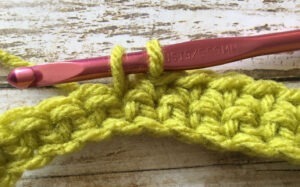 This is one of the shortest crochet stitches, so I’m starting with this stitch because you will see it used frequently. The single crochet stitch (sc is used to indicate this stitch in patterns) creates a tighter fabric than most other crochet stitches, and therefore is useful in creating purses, toys, and smaller projects like scrubbies or washcloths. It’s not my favourite stitch to work with, but it does lend itself well to certain projects and stitch patterns. Let’s get started, shall we? To begin, chain a length of any number, plus one. Not sure how to chain? Check here. I chained 20+1, 21. Next, insert your hook into the back ridge of the second chain from your hook. Yarn over and pull up a loop. You now have two loops on your hook (see Figure 1). Yarn over and pull through both loops on the hook (Figure 2 and 3). 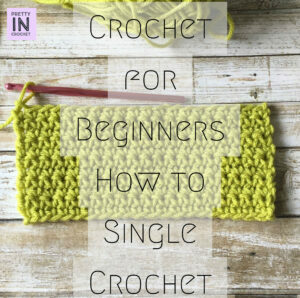 You’ve just crocheted a single crochet! Figure 2. Yarn over from the back. Figure 3. Pull through both loops. Single crochet into each chain stitch until you reach the end. Once you have reached the end of your chain, it’s time to begin the second row. Chain one (this is called a turning chain) and turn your work. 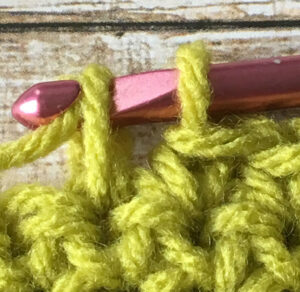 Insert your hook into the first stitch and single crochet into the stitch and each stitch until the end of your row. Repeat the row as many times as you’d like for practice. Remember, when you yarn over, you always bring your yarn to the back of your hook. Don’t pull your stitches too tightly, or it will be hard to get your hook into them when you’re crocheting your next row. 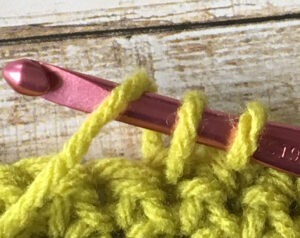 Always chain one for your turning chain before you start your next row so the height of your yarn is equal to that of the stitch you are going to crochet. Note: Turning chains can consist of one, two, or three chains depending on the stitch you are using. It is not necessary to crochet into the back ridge of your chain; however I do recommend it as this method makes the bottom look the same as the top. Your piece will have a different edge on the bottom if you do not use this method. I hope this tutorial was useful! If you have questions or comments, please drop me a line in the comment section, and I will answer as soon as I can. Be sure to subscribe to stay up to date, and happy crocheting.